A CoS is defined in the UV parameter space of the surface it lies on and cannot move away from that surface. It's modifiable by hand using Pick → Edit Point only, and has no CVs. It's created by Alias as a Degree 3 curve (typically multi-span) - the user has no control over this parameterisation. It's selected using a separate tool on the Pick Palette: Pick → COS. Note: There is also a freehand drawing tool on the Curve Palette. This requires you to position the Edit Points of the CoS directly onto the UV parameters of the surface, a method which is unpredictable. So for most situations, the projection method (above) is preferred as this allows you to control the shape more easily by CV manipulation. 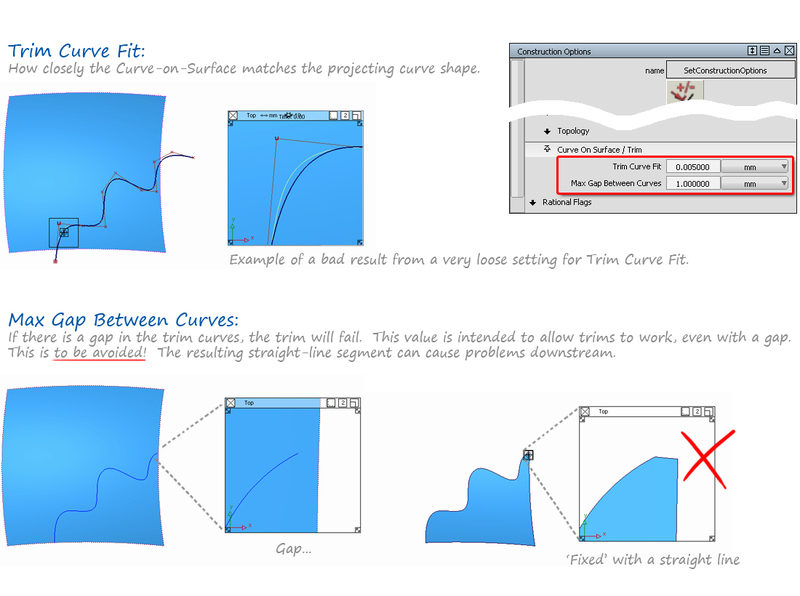 The primary use of the Curve on Surface is to trim the surface using Surface Edit → Trim. 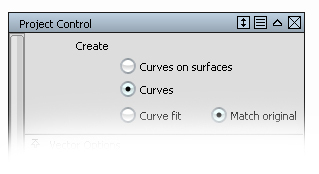 Curve Edit → Create → Duplicate will make a copy of the CoS as a normal curve. Curve Edit → Fit Curve can also be used to create a normal curve from the CoS, but with more control over the parameterisation and fit. 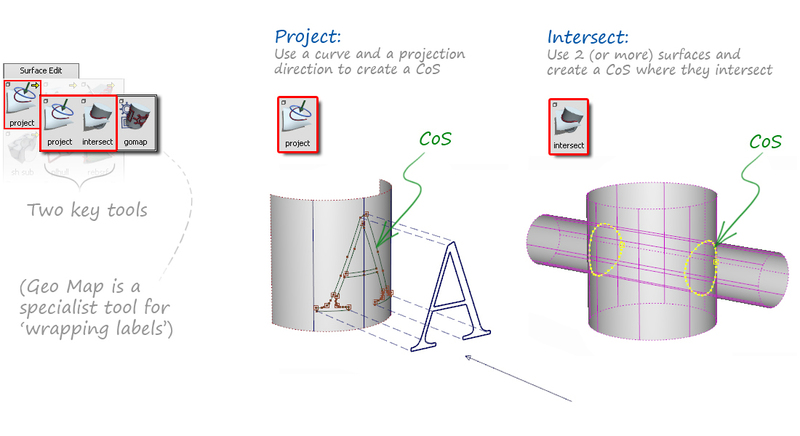 Set the Surface Edit → Project tool to create Curves instead of CoS. 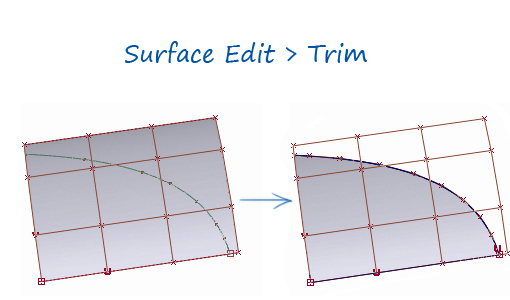 Surface Edit → Trim Convert. 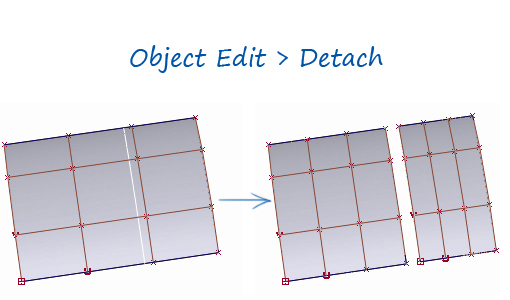 If a trimmed surface results in a four-sided boundary, then Trim convert can create a natural edged 4-sided surface from it. Trim Curve Fit. Determines how accurately the CoS matches the curve that is being projected. This is typically set to the same or smaller than the Max Gap Distance and Curve Fit Distance, for example 0.001mm. Max Gap Between Curves. Some of the default settings are as large as 1mm. This should be set to a much tighter value, for example 0.001mm, for accurate modelling.